Tax season is officially upon us. Some have already filed their taxes and now await their refund check. Others are still wondering just how to organize all of their paperwork. This annual duty can be a complicated, though very necessary, one. It can be even more so for the first time home buyer. There are plenty of perks to owning your own home. Being your own landlord instills a sense of pride and responsibility. Paying down your mortgage builds home equity, which in the end will benefit you. In many parts of the country, it is a more economic option than renting. Plus, as many first time home owners this year will discover, it comes with tax advantages. When you purchased your home, you probably had help from a mortgage, which you are continuing to pay off in monthly installments, along with the interest rate the lender agreed to. The interest you pay is tax deductible, according to Nolo, as long as the total amount you paid in interest last year was less than $1 million if you are married and filing jointly, or $500,000 if you are single or married but filing separately from your spouse. Some first time home buyers purchase private mortgage insurance along with their mortgage, which is a separate payment. PMI premiums are also tax deductible, as long as they are more recent than 2006. While there are many upsides to owning a house, many home owners don’t like having to pay property taxes. However, you may see some benefits this time of year. TurboTax explained these payments are tax deductible, too. If you are paying them into an escrow account for future taxes, they don’t qualify, but chances are you reimbursed the seller some money for property taxes he or she paid ahead of time. These count, as well as any you paid for this year. If the purchase of your new home came about as a result of a work-related relocation, you might be able to get some money back for your move. If your new job is located more than 50 miles from your previous home, you qualify for this. Fees can refer to a variety of things, such as transportation, storage for your possessions and lodging during the move. Changes in employment don’t always move people far away. 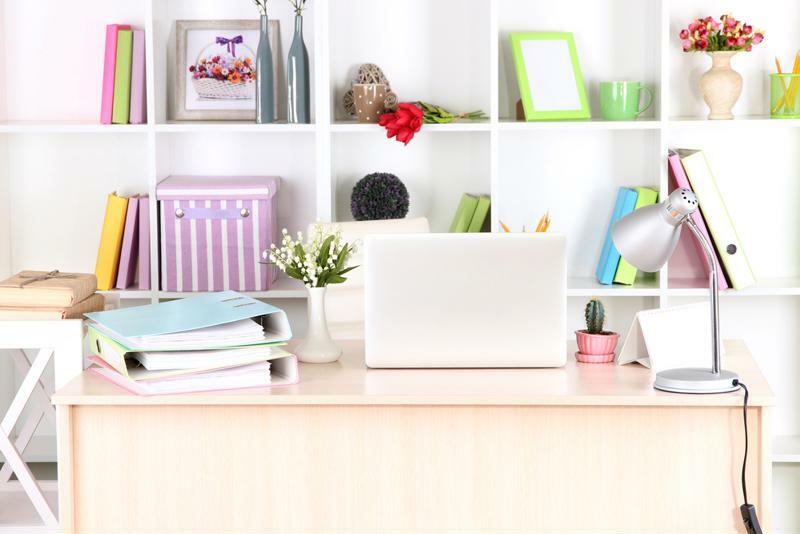 Many employees today are opting to bring their work home with them and build a home office. Nolo stated some expenses related to this addition are tax deductible, such as repair costs, part of your insurance and depreciation. When you buy a home, you might have some renovations in mind to personalize your new house. These home improvement projects are expensive, but lucky for home owners, they are also tax deductible. Nolo explained that, much like mortgage payments, the interest you pay on a loan used for home improvement, such as a refinance, can be deducted. Unlike the mortgage deduction, there is no dollar limit to the amount you can claim on your taxes. Your remodeling project likely qualifies for the deduction if it improved the value of your home, modified it for new uses or increased its lifespan. Your home office could qualify you for additional tax deductions. Home improvement projects that made your house more eco-friendly fall into another category altogether. According to TurboTax, these improvements don’t qualify for deductions, but can bring a first time home buyer a tax credit of up to $500, depending on the cost and type of the improvement. You can earn 10 percent back of your new insulation system, skylights, improved windows and doors, or other similar projects. Larger, more unique improvements, such as solar-powered water heaters or generators, can earn a home owner 30 percent of their expenses back with no dollar cap. Filing taxes as a new home owner can be complicated, but by knowing which deductions and credits you may qualify for, you can make this year’s tax season a profitable one. For information about the mortgage and refinance options available to you, contact the professionals at Lenox/WesLend Financial or call 844-225-3669. As heard on the radio, it’s the biggest no-brainer in the history of mankind.